St. Helens has received a portion of funding it needs to begin feasibility studies and public outreach for re-purposing its secondary wastewater lagoon. The city of St. Helens was selected to receive a $100,000 grant from the Oregon Business Development Department Awards, and recently signed a grant contract outlining details of the project. Overall, the city has established a $613,000 budget for a feasibility study. The OBDD grant money will specifically be used to to pay for the development of planning materials and public outreach related to the conversion of the city-owned 39-acre wastewater treatment lagoon, according to the contract, which was approved by the city council, Wednesday, Nov. 7. The money will be used to create a public involvement plan, create a governance decision plan, and get an updated market analysis to determine the net present value and return on investment for the lagoon re-purposing project, grand documents indicate. The project budget projects a $102,000 expense for site characterization and a $411,000 expense for geotechnical investigations, risk assessments and preliminary air-modeling for purposing the lagoon. St. Helens City Administrator John Walsh explained that making progress on this portion of the lagoon re-purposing project is one of the first in a portfolio of tasks, but determining the feasibility of filling in the lagoon is a critical step. A feasibility study would determine whether the project has fatal flaws or is viable. 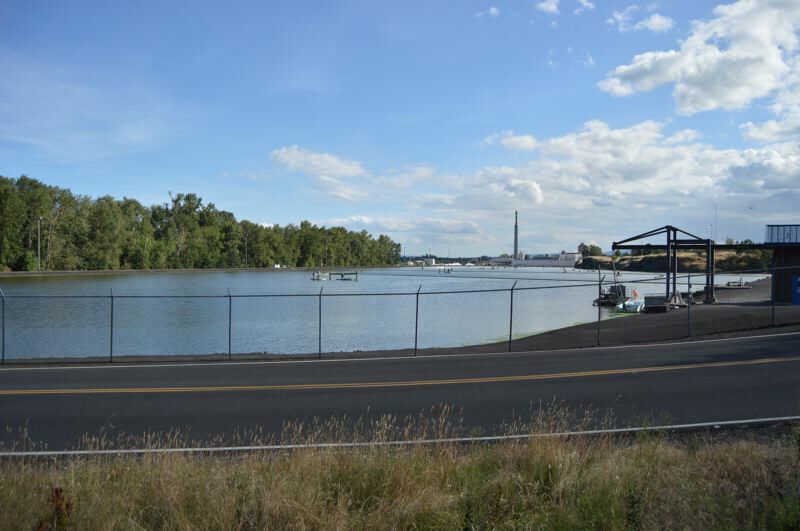 St. Helens has been discussing re-purposing the 40-million-gallon wastewater lagoon for several years and has proposed the plan as a way to maximize on its available acreage of riverfront property. The city pitched the concept of relocating the wastewater lagoon and also downsizing the treatment facility, which was initially built to treat city wastewater and runoff from the former Boise White Paper pulp and paper plant. In 2016, consultants Maul Foster Alongi and ECONorthwest conducted a market analysis for re-purposing the lagoon. The analysis offered three options for filling in the lagoon, from partial to complete fill models with net values ranging from $56 million to $137 million. In that analysis, the city proposed filling the lagoon with 1.7 million cubic yards of fill from an Environmental Protection Agency superfund site cleanup in the Portland Harbor; 2.1 million cubic yards of fill from channel deepening projects in the Lower Willamette; and 600,000 cubic yards from brownfield sites. Recently, the EPA reduced the scope and overall cost of the cleanup effort after new research was published showing that one of the chemicals, a polyaromatic hydrocarbon, or PAH, called benzopyrene, is less toxic than previously thought. By reducing the scope of the cleanup, the proposed $1 billion plan could be cut back by $35 million. It's not clear what effect that would have on St. Helens' goals yet. The plan is still open for public comments. In 2017, Rep. Bratt Witt, D-Clatskanie, also sponsored House Bill 2950 to allocate $1.54 million from the state general fund for distribution to the city to "continue feasibility, evaluation, initiate permitting and site characterizations efforts, and conduct proof of concept analysis for the City of St. Helens central waterfront redevelopment and Portland Harbor cleanup support project." The bill was passed in the house and referred to the Ways and Means Committee, but did not make it's way into the state budget. While no final plans for re-purposing the lagoon have been determined, Walsh said the city is not really looking to spend money on non-essential research. He also noted the city has pursued other grant funding to cover the unfunded portion of the project.